Kamisori is the #1 choice for platform artists and Hollywood hairdressers because of their innovative scissors that are affordably priced and constructed from some of the finest materials available. No other shear manufacturer combines a diverse range of high quality metals with such a unique, hand-crafted product. These Kamisori scissors are ergonomically designed, resulting in a light-weight perfectly balanced shear that won't fatigue or cramp your hands. Each pair of Kamisori shears is hand crafted using years of research, development and testing. With an arduous 93 step inspection process to guarantee quality and the finest craftsmanship, each pair of shears will be nothing less than perfection. Kamisori stands by their product and offers an unconditional LIFETIME WARRANTY and an exclusive 1 year accidental damage warranty. 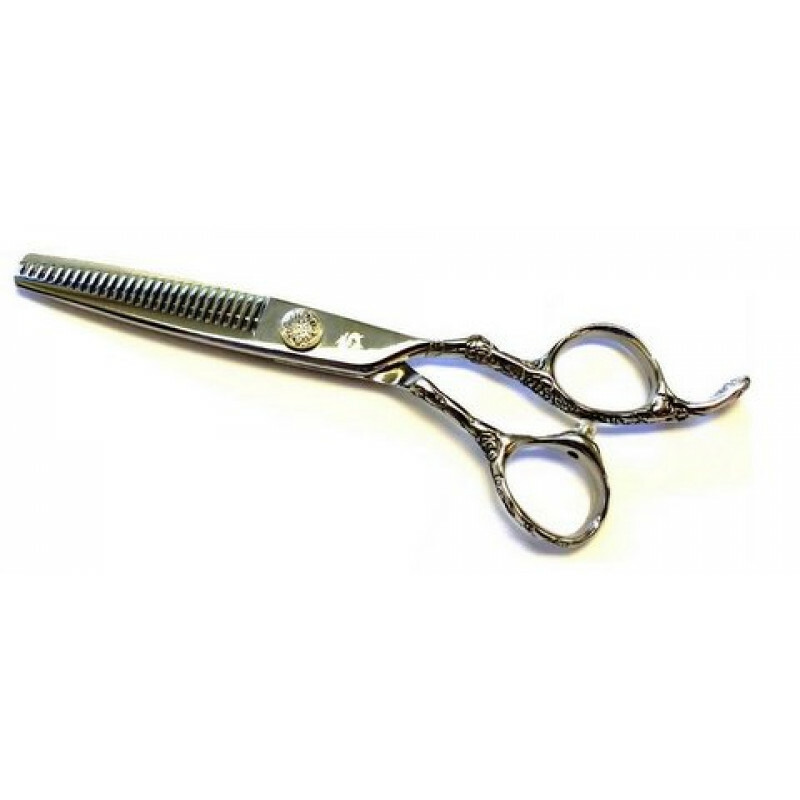 Kamisori shears are one of our top selling shear brands. We're not surprised, because their high quality craftsmanship and artful designs and years of development have created multiple collections of great texturizing shears, ergonomic shears, barber shears, thinners, hair scissors, and more. 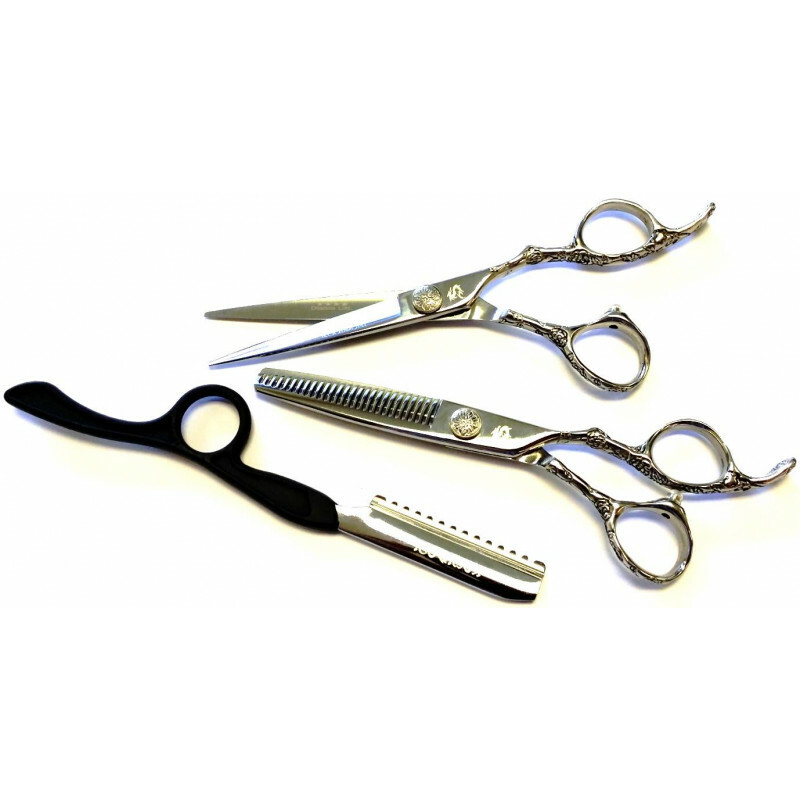 Please browse our extensive collection of shears, shear sets, and left-handed scissors. Our Kamisori shears are our most popular hair shears, and that's for a good reason. Kamisori is one of the most recognized names in the hair scissor business and is the preferred tool of choice for Hollywood hair dressers and many platform artists. Aside from their great lifetime warranty, the fact that the Kamisori scissors are a work of art each unto themselves is one of the reasons hair stylists love these shears. If you have seen one in person, you know what we're talking about here. They're beautifully forged and handcrafted from pure Japanese steel. Some of the latest big sellers in our Kamisori line have been the Kamisori Jewel, Kamisori Revolver, and the always popular Kamisori Black Diamond shears. We also have a full line of lefty shears, just use the navigation button on the left to browse through all the available options.